Favorite! 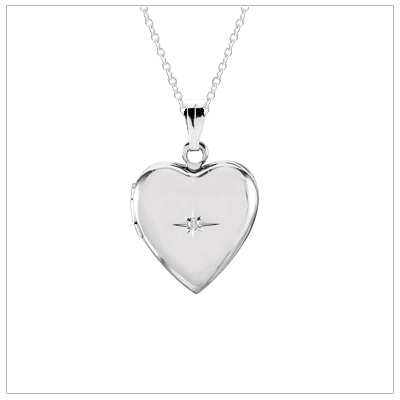 Sterling heart locket for girls with genuine diamond. Engrave the back. Children's jewelry. 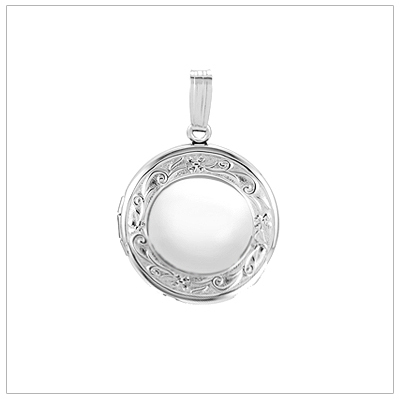 Beautiful silver locket with an embossed pattern. Custom engrave front and back. Chain included. 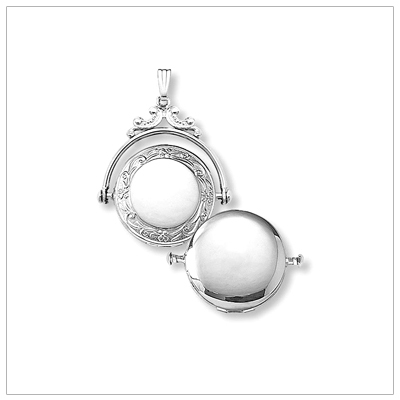 Round silver locket embossed on the front, plain back, spinner locket. Engravable. 18" chain. 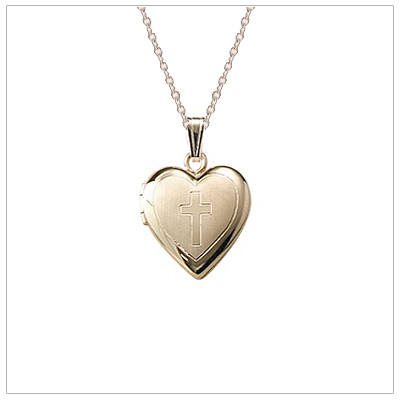 14kt gold filled heart locket for girls with engraved Cross. Personalize the back. Children's jewelry. 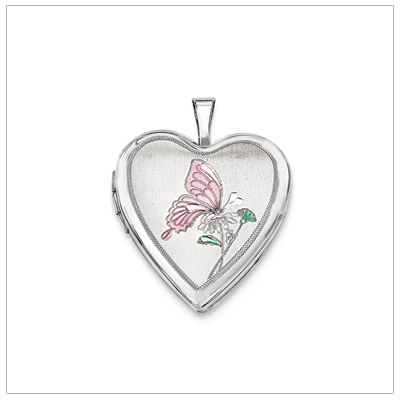 Lovely silver heart locket with an engraved, enamel butterfly. Personalize the back. Included chain. Favorite! 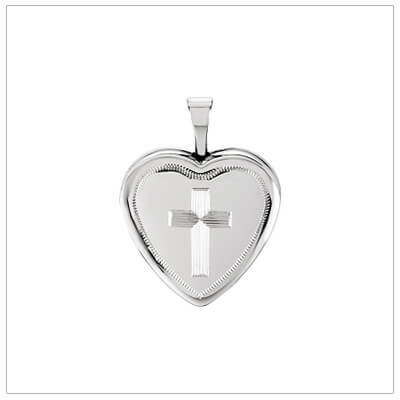 Sterling silver heart locket with engraved Cross. Personalize the back. Children's jewelry. 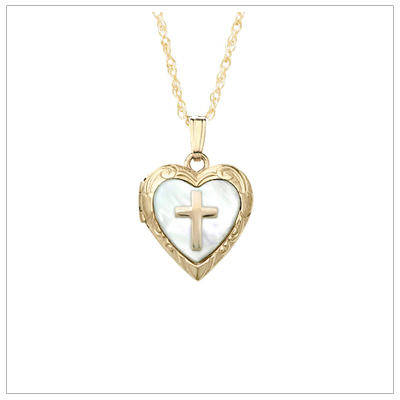 14kt gold heart locket with Cross on mother of pearl. Engrave back, 15" chain. Children's jewelry. Sterling heart locket with Cross on mother of pearl. Engrave the back, 15" chain. Children's jewelry. 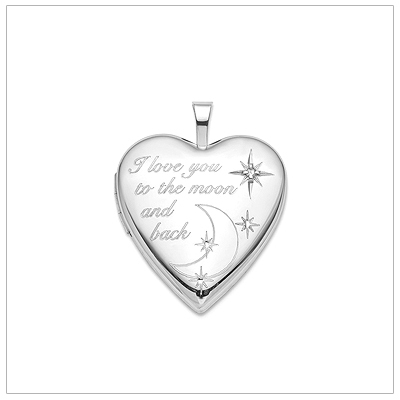 Sterling locket necklace engraved "I love you to the moon and back". Genuine diamond. Engrave back. 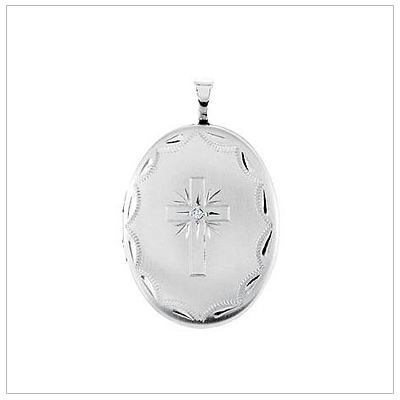 Sterling silver locket in oval shape, matte front engraved with a Cross and set with a diamond. 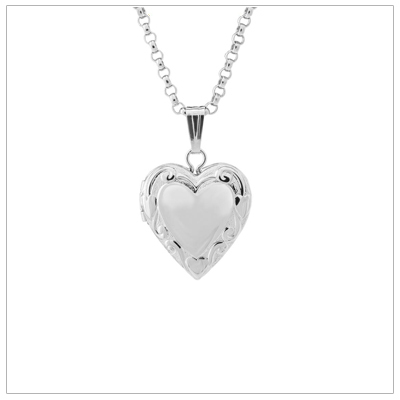 Fine quality heart locket in sterling silver with genuine 2pt. diamond, sterling chain included. 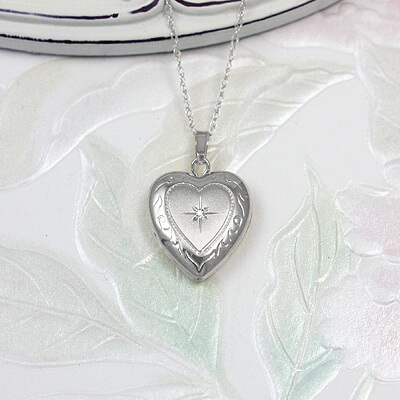 Sterling locket necklace with genuine diamond, heart shape. Engrave back. 3 lengths. Child, tween. 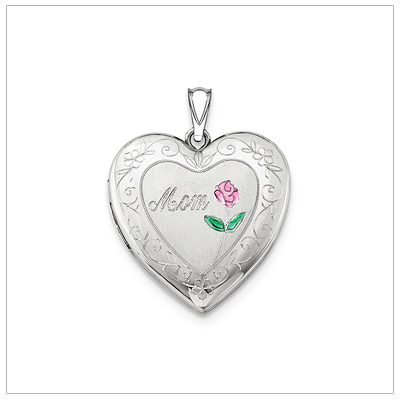 Silver heart locket with engraved "mom" and enamel flowers. Personalize the back. Included chain. 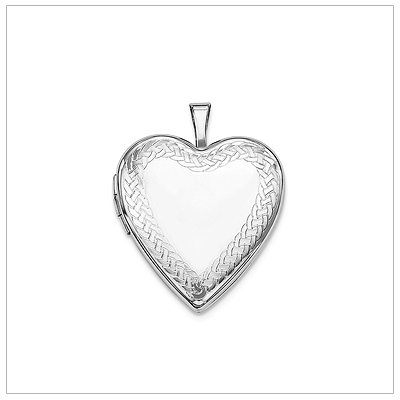 Polished sterling heart locket with a braided border. Personalize the front and back. Includes chain. 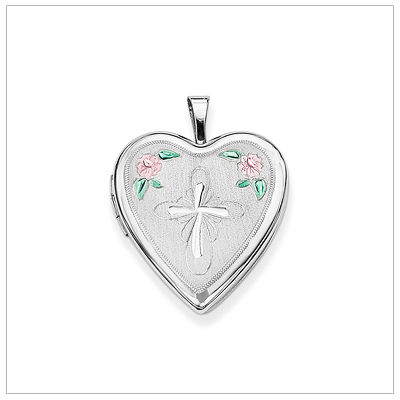 Silver heart locket with engraved Cross & enamel flowers. Chain included. Free engraving! 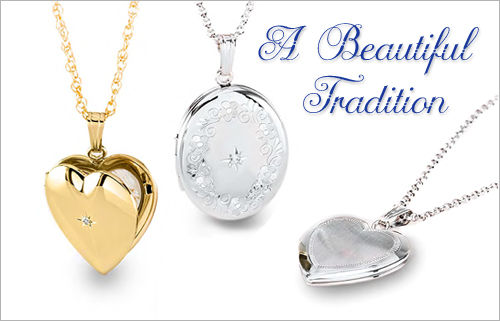 Sterling silver locket necklace set with a genuine diamond. 2 lengths available. Children's jewelry. 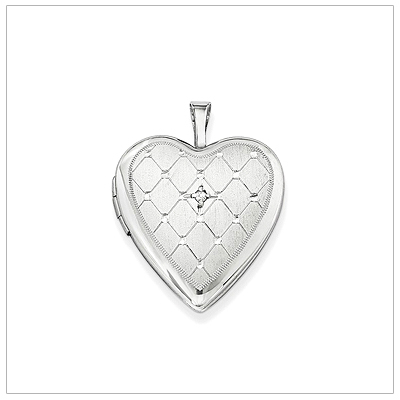 Elegant heart locket in sterling silver engraved with a quilted look. Genuine diamond, chain included. 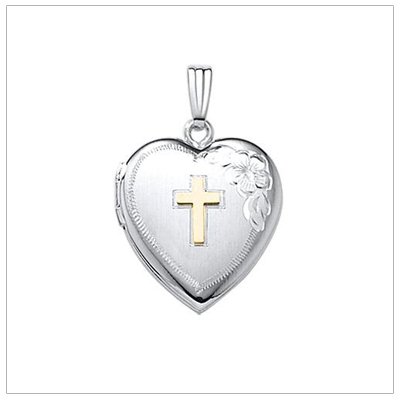 Gorgeous quality heart locket with a 14kt gold Cross, hand engraved floral. 18" chain included. 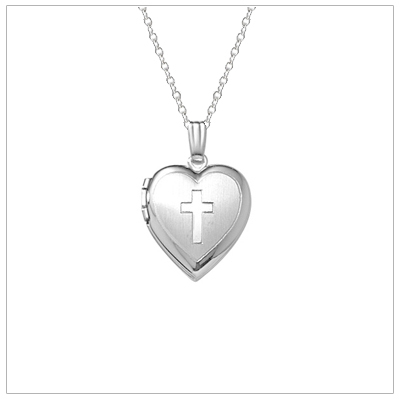 Sterling heart locket with engraved Cross, choose chain length. Free engraving on back! Sterling silver heart locket for girls with custom engraving. 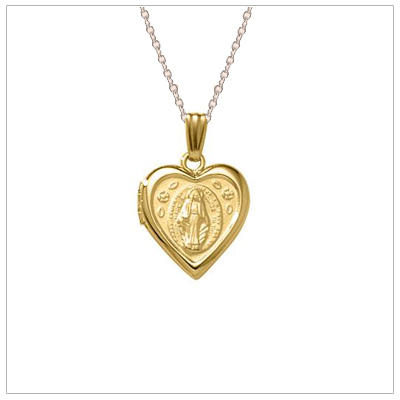 Front engraving and chain is included. 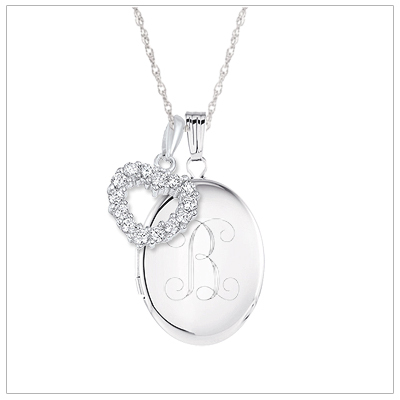 Personalized locket necklace in sterling silver. 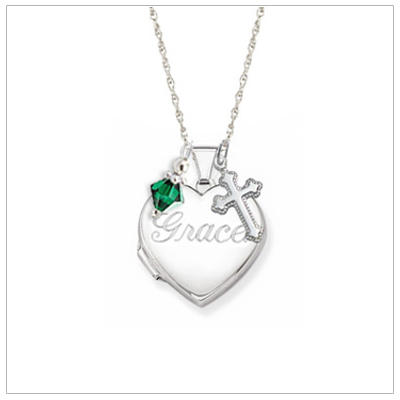 Front & back engraving; add charms to make it unique! Customer favorite! 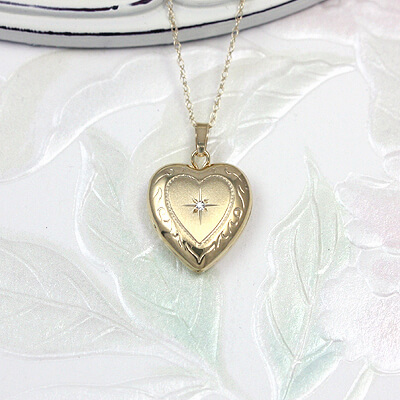 14kt gold locket with a genuine diamond. Engrave back. 14" gold chain included. 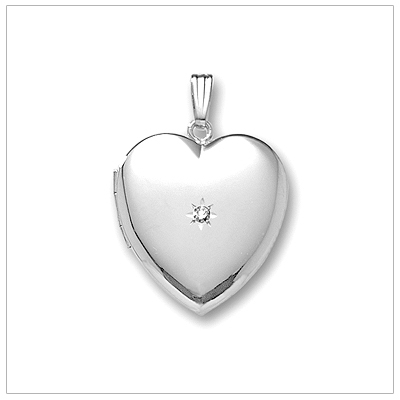 14kt white gold heart locket with genuine diamond. Engrave back, 14" white gold chain included. 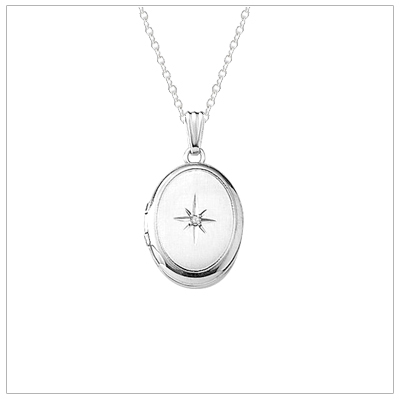 Sterling silver locket necklace engraved with a Cross and Baptism symbols. Custom engrave back. 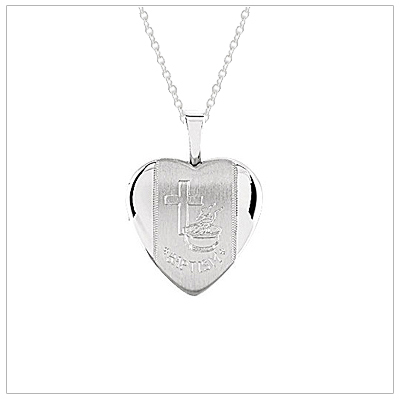 Sterling heart locket for girls, personalize front and back with custom engraving. Kids jewelry. 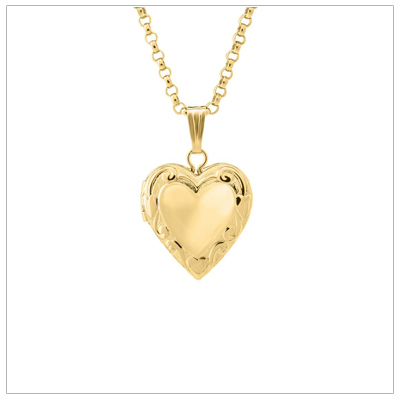 Heart shaped locket with Miraculous design in 14kt gold filled. 15 inch chain included. Kids jewelry. 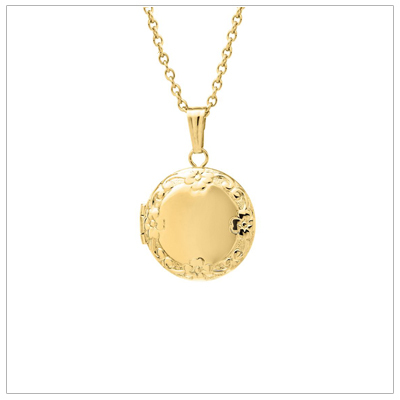 Gold filled locket necklace with embossed design. Engrave & and back. 15" chain. Kids jewelry.